Maybe I’m getting a little off message this week but as I’ve said before… life is all about balance! I can’t spend all my free time in the gym or on my yoga mat. In an effort to ward off any misconceptions about that… I thought I’d share a special “date night” Mike and I had last weekend! As I mentioned in my very first post Mike and I live about 45 minutes apart (without traffic… and if you know DC at all, you know how often there is “no traffic”). During the week with both of our work and, of course, workout schedules, evenings we get to spend together are often short and spent in workout gear (ok, I’m always in workout gear, he usually changes). Most of the time, we don’t care as long as we are together! I look forward to the evenings I spend hanging out at home with Mike and our respective cats, cooking dinner or just running to the grocery store to pick up something easy. But every once in a while, it’s really nice to spend a special night out together doing things that are fun and different! After reading a couple blogs (especially my new favorite Peanut Butter Fingers), I noticed that some couples plan special date nights at a predetermined interval (every month, once a week, etc.) I thought this was a great idea!! So here is our “May Date Night”. Mike got to plan this one, and we had our date out in the suburbs near his house! We started the night at this really awesome restaurant called Mokomandy (which we were told stands for “Modern Korean by Mandy”). Mike and I are both very adventurous eaters and really enjoy different ethnic foods. 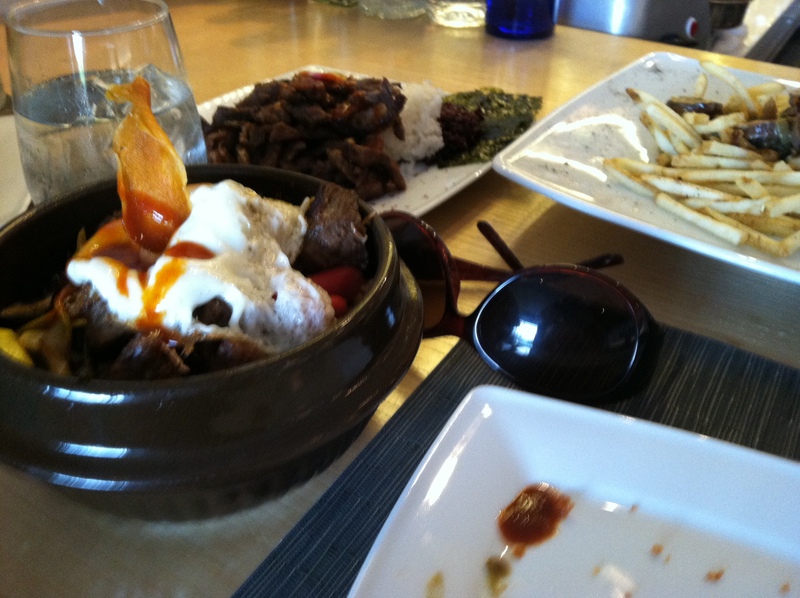 Luckily, there is NEVER a shortage of places for us to try in DC and the surrounding areas. 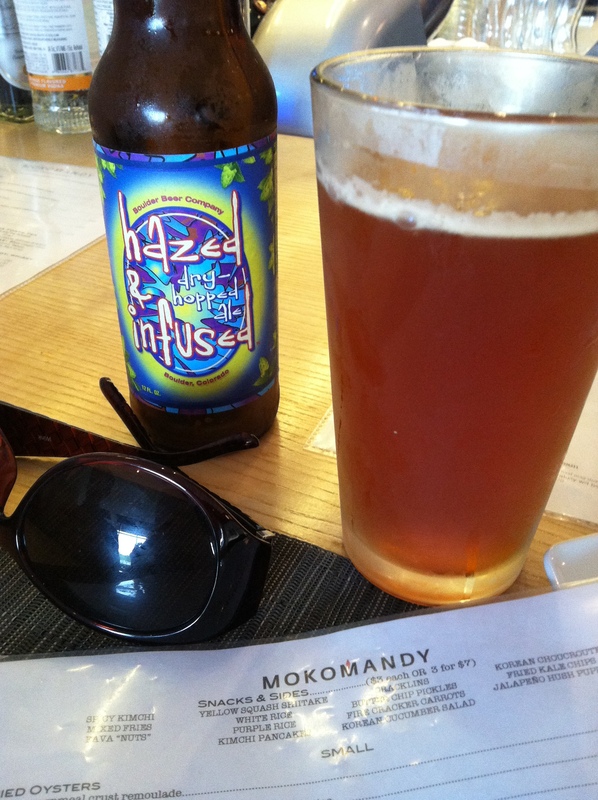 Mokomandy was really intriguing to me because it is described as “Korean and Cajun” foods. Um… YUM. I thought it was going to be fushion cuisine but it actually wasn’t. The menu was described as a “duet”, featuring both cuisines. We got a seat at the bar because we apparently weren’t in the loop that you needed a reservation but it turned out great! I started with a Hazed and Infused beer and Mike had a cocktail (details of which are evading me). We decided to get several items and share them all since the menu was a mix of tapas style small plates and mezze style medium plates. 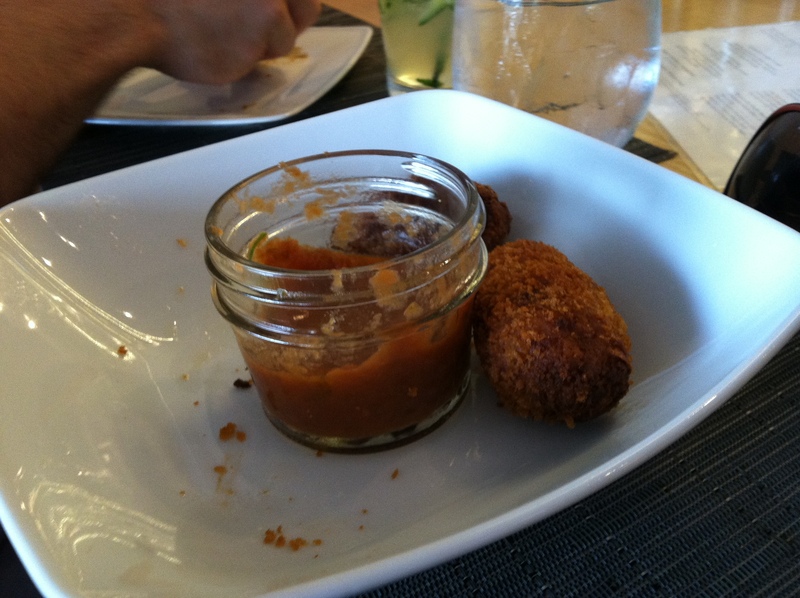 We started with gator croquettes with their homemade hot sauces (which were all amazing). For our entree we had poutine (not sure that this is either Cajun or Korean… but I LOVE poutine so I wasn’t asking questions), bulgogi beef, and a wild boar bowl with fried egg and purple rice. We finished off the meal with a cajun favorite… spiced rum bread pudding! The bartender, who was by this point our buddy, gave us a sample of Madeira to go with the bread pudding and it was delicious. 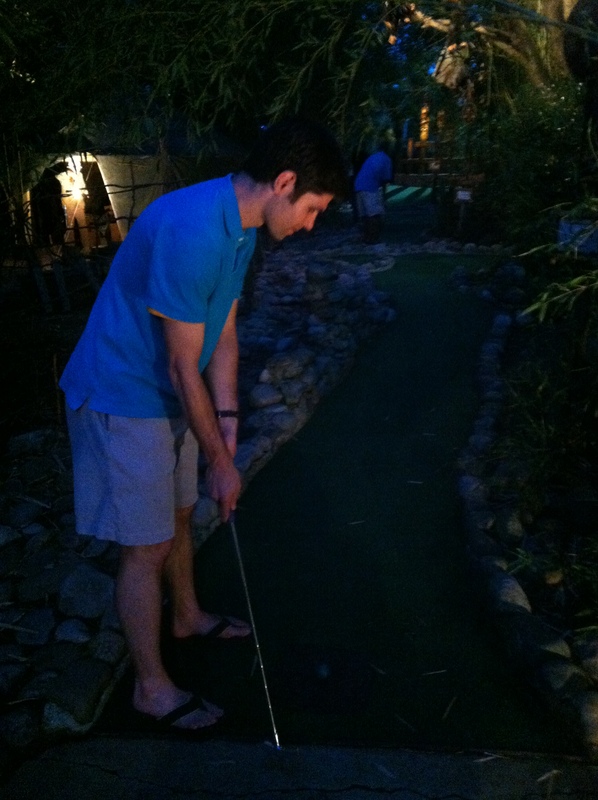 This picture of Mike putting was incidentally RIGHT before he shot a hole in one (show off). It was a fantastic night! I’m curious… does anyone else plan special date nights with their significant other? What’s your formula?? I’m already busy thinking about our next one… which will be my turn to pick!